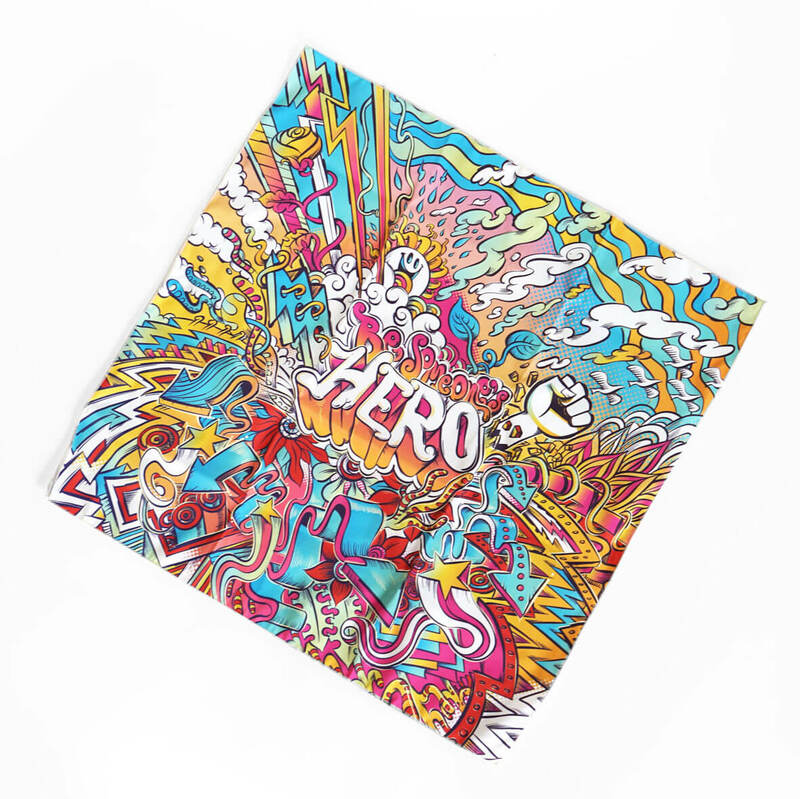 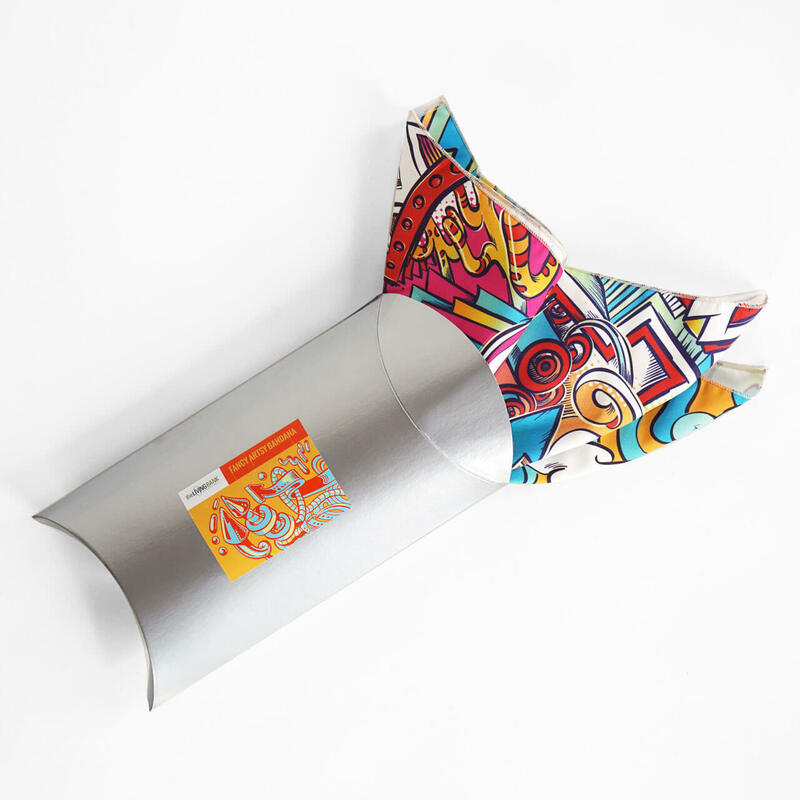 This colorful Be Someone’s Hero street-art inspired square bandana has multiple uses. It can be used as a scarf, a kitchen towel, it can be gallery wrapped as art, and if you purchase multiple you can use them as table napkins. 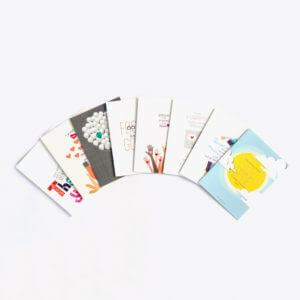 The choice is yours, or come up with your own creative idea.